I feel like in the last year or so I’ve figured out what my style really is. Recently I went through my wardrobe for a good old spring clean and clear out and realised just how many clothes I had bought and barely worn. I’ll hold my hands up and say more often than not I’ll buy clothes because they’re in fashion, and I love how they look on other people, but often when it comes to me wearing it, I hate it. I am a comfort over style girl. I have to be comfy. If I know I’m going out for a big meal, I’ll avoid the high waist jeans, or at least I’ll wear a baggy top to avoid anyone seeing that I, in fact, have my buttons undone. I’m cold. I will not go out in winter with any less than 3 layers on. I can’t, for the life of me, wear heels for more than 2 hours. I’ve started to accept I’m not going to be one of those flawless girls who wear heels on the daily and never wears jeans. That’s not me. Instead, I’ve figured out what I do like to wear, what I’m comfortable in, and what I feel great in. 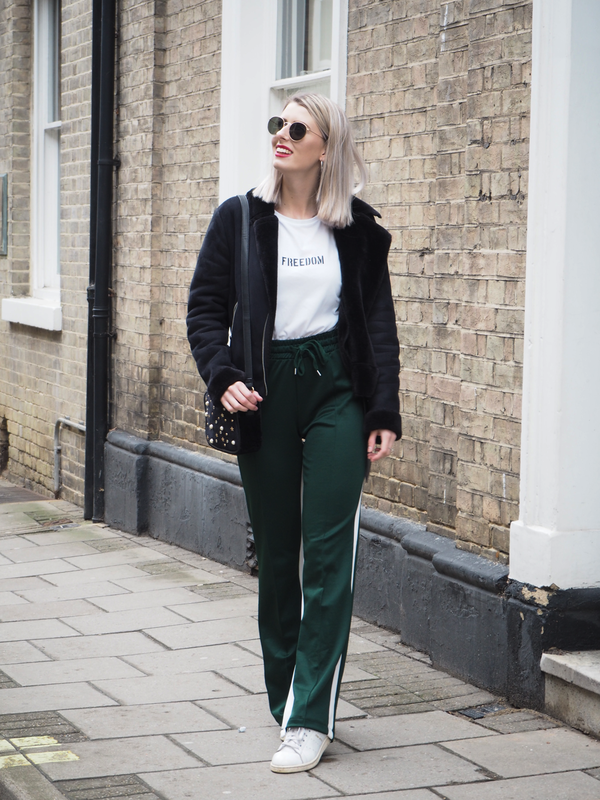 For example, these green joggers are the most amazing thing – anyone loving the sports luxe trend right now? And most of all, they’re the comfiest trousers I own right now. I know when I buy clothes what I’m going to feel great in, and I’ve started to build up a wardrobe which, for the first time in a very long time, I really love each and every piece. With this in mind, I feel like I’m in a good position to give some advice on how to find your own personal style. Before you go out buying new clothes, I think a wardrobe clear out is necessary. Go through every piece of clothing, accessories and shoes you own and make a note of the things you’re always reaching for, and what items make you feel great when wearing them. Anything you haven’t worn in at least a month, send it off to charity! This will give you a clear basis of where to start, and what items you might need more of. Every wardrobe should have the basics. Basic tee’s, classic blue jeans perhaps, a trench coat maybe. In my eyes, basics are the items which will be able to go with pretty much everything and make for much easier styling. There are types of clothes which will make you feel amazing. I truly believe that if you feel confident, you’re going to look confident. There is nothing better than putting on an outfit and knowing you look banging. It can take a while, and a few trial and errors, but figuring out what type of clothes makes you feel great will take you one step closer to figuring out your style. For example, although I own a few blouses and shirts, I know ultimately I’m a t-shirt girl. Similarly, I’m trousers over skirts. Most of my fashion sense comes from other people. 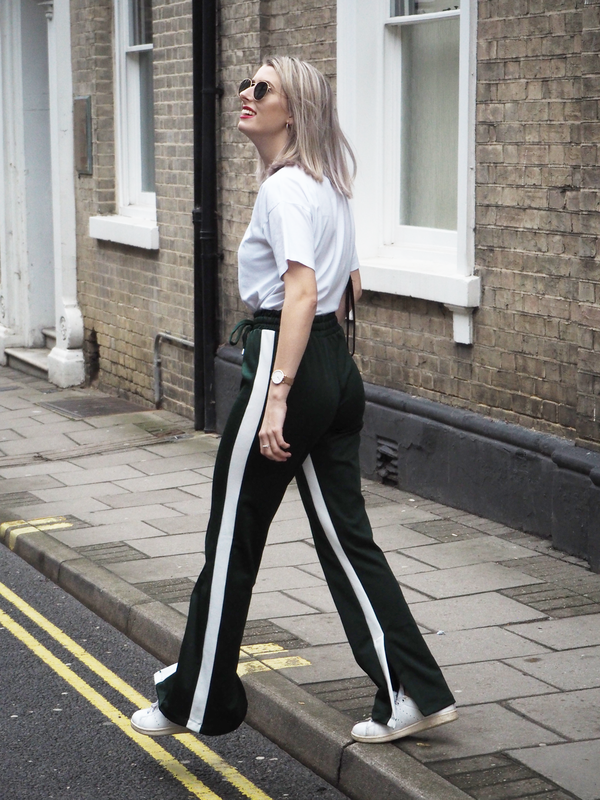 There are bloggers out there which are my style down to a tee, so I often find myself going to them for some inspiration! Head over to instagram or pinterest and get some ideas. Remember too, there’s nothing wrong with copying an outfit. Sometimes I’ll be so in love with a look someones created that I’ll go out and buy the whole thing and recreate it myself. By doing this you’re creating a whole circle of ideas, and soon you’ll figure out what sort of style you’re liking again and again. 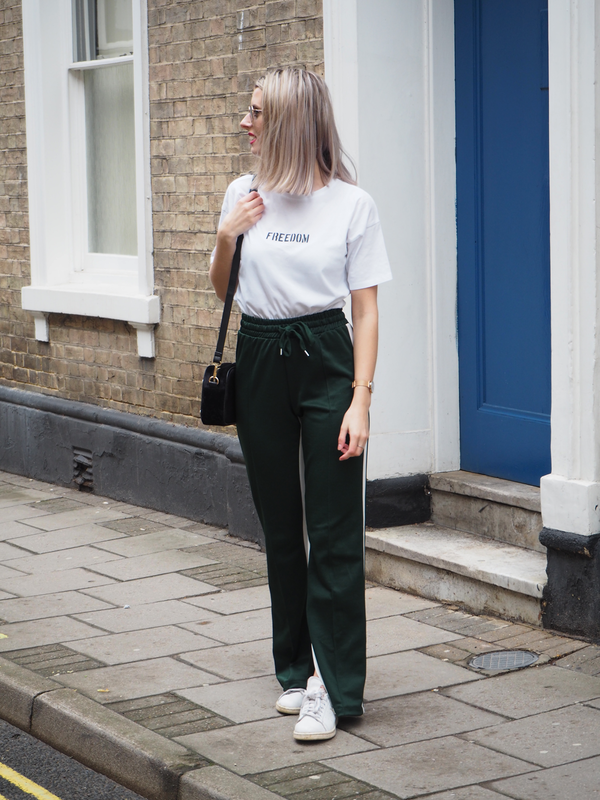 What are your top tips for finding your personal style? "5 ways to improve your blogs engagement"